Many kayak lovers always wonder whether their kayak is good enough. They often ask, which is the best kayak brands out there. They also love comparing their kayaks with their friends. Well, it's human nature after all. Who wouldn't want to own the best of the best? So, what is a good kayak brand? The truth is, each brand has its own uniqueness and speciality. No kayak is perfect for everyone. The more important question is to ask yourself why you need a kayak. Start by accessing your necessities. Are you just looking for some fun during the summertime? Are you planning to become a professional? Or are you planning to go fishing with your kayak? It does take time, but understanding why you need them in the first place will always guarantee a good decision. For those who wants to jump straight to the final verdict, here is a quick recap on our thoughts on the best kayaks out there. We all know that kayaks are quite diversified. They come in multiple models and each type has its own features and uses. Furthermore, there are dozens of brands and hundreds of models out there. Luckily, you don't have to waste too much time on this as we've already done that for you. 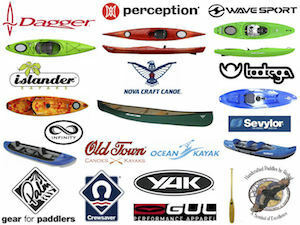 We have analyzed the top rated kayak brands on the market and went through both their pluses and minuses. These 8 brands have been in the market for ages and they specialise in different areas, depending on what you are looking for. You can click on the brands to check out its recommended model. Alternatively, you could also find a table of comparison below to compare their features. If you're up for a unique fishing experience, Lifetime's flagship is by far the most suitable kayak. 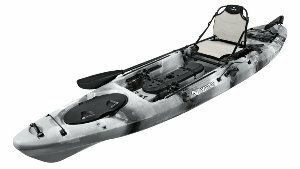 It's an asymmetrical model coming with a full package – two paddles, two backrests, paddle clips, 3 fishing pole holders and a storage hatch. 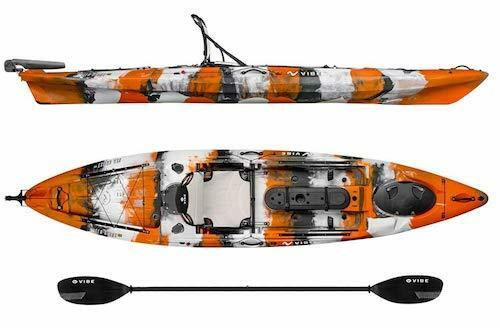 Apart from the olive green color, the best kayak for fishing is available in a camouflage design too. Although it's not meant to be used under extreme conditions, this kayak features a sturdy construction that will last for years. It is blow molded from high density polyethylene. We tested it against hard and slightly sharp objects and it holds well. The manufacturer is so confident in it that it's backed by a 5 year limited warranty. The material is UV resistant and can easily resist peeling, cracking and fading. The wide back makes it stable, while the sharp front doesn't compromise on speed. The hull design adds to the overall stability as well. Tracking is piece of cake too. 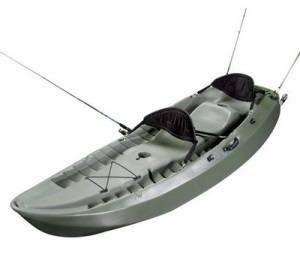 Lifetime's fishing kayak can take up to three people. Its total capacity is 500 pounds, so it's also suitable for a large couple. In terms of comfort, we loved the multiple footrest positions. This feature makes it ideal for tall people. Most commonly, they have to bend their knees while riding kayaks – totally uncomfortable after a while. With the extra space and multiple options, they can change position every once in a while, but also straighten their legs for a more comfortable experience. It can accommodate couples and families, as well as overweight users. It comes with a full package for fishing enthusiasts. It has multiple footrest positions for tall people. It's durable and solid, but it also has a 5 year warranty. It comes with a good value for money. It feels heavy when carried. The seat is not comfortable enough if you have back pains. 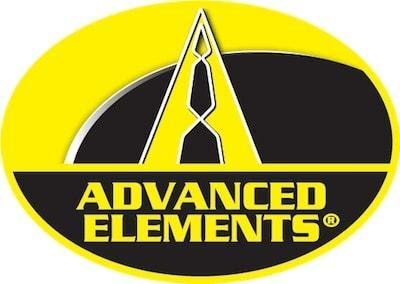 Although inflatable kayaks are not necessarily designed for professionals, this model from Advanced Elements brings in a top-notch performance. It's certainly appealing to more experienced users as well. Given its inflatable construction, it's obviously easy to store in a closet, but also easy to transport in a backpack. We found this kayak to be extremely durable – quite surprising for an inflatable model. We've done some research and it seems it comes with three layers of material. It holds well even when it hits rocks or slightly sharper objects, so its puncture resistance is exquisite. As for stability, it has aluminum ribs to provide exquisite tracking. 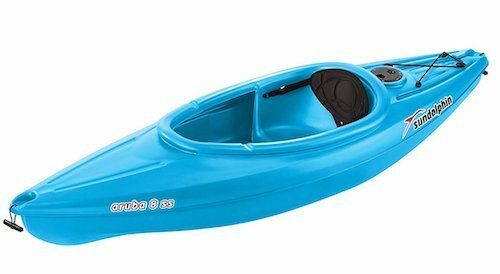 In terms of convenience, this kayak can be used as soon as you get it. It's pre-assembled, while adding the rest of the parts is a straightforward operation. There are three steps – unfold, inflate and install the seats. Despite being an inflatable model, we were surprised to find out it has a 550 pound capacity. It can take overweight users with no issues at all. In fact, it's mostly designed for families and couples. It has three seat locations, so adjusting it is piece of cake. You can paddle solo or tandem – just choose the right seat. The seats are padded and provide lumbar support for your lower back. You can paddle for hours without feeling any discomfort. While the lumbar support is not a professional or medical feature, we found it quite convenient and comfortable. It's easy to fold, store and transport without renting a trailer. It can take overweight people, couples or families. Can be used in two ways – solo or tandem. It comes with lumbar support. Beginners will find it hard to maneuver. There's not too much storage space unless you use the kayak alone. 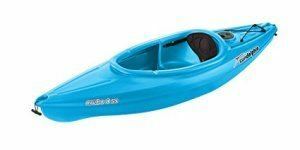 Designed for the entire family and mostly for less experienced users, Sun Dolphin's kayak is excellent on both rivers and lakes. Given its profile, it shouldn't be used on rapid rivers though, as it's created for amateurs. It does come with a few professional features though. The Aruba SS kayak is made with convenience in mind. Even if this is the first time you use a kayak, getting in and out is piece of cake, regardless of your size. It's a small unit that can only accommodate one person though – it only measures 8 feet in length. As for width, it measures 28 inches, so make sure you can fit in if you're overweight. It only weighs 27 pounds, so it's great for newbies and those who don't want to struggle with bulky professional models. In terms of convenience, the seat back is padded, so you can go kayaking for hours without feeling any discomfort. Also, the seat back is adjustable. It can take up to 260 pounds in weight, which means it's suitable to large people too. The drink holder is certainly a plus, especially in recreational kayaks. Unfortunately, many manufacturers overlook this feature. It's placed right in front of the user. Moreover, the kayak comes with a designated storage compartment. Since it's a classic one person kayak, it's obviously not huge, but enough for a backpack. The seat back is padded and adjustable. It is suitable to both small and large users. It has a designated storage compartment for small things. The drink holder is conveniently placed in front of the user. It provides a good value for money. It's a one person kayak, so families and couples cannot use it at the same time. It has no inner foot pegs. Ocean Kayak is certainly a front runner in terms of kayaks, especially when it comes to sit on top kayaks. 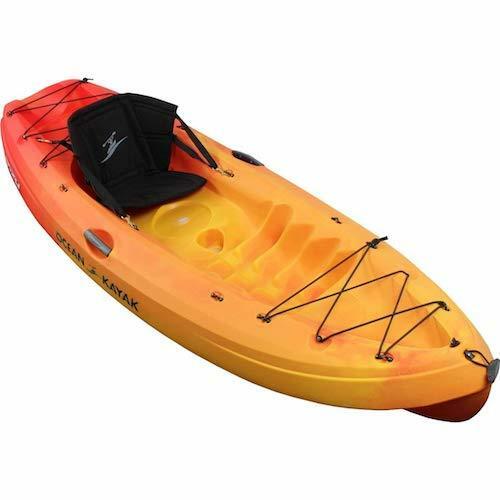 This model comes in a bright orange color, so it's easy to be seen on water. It's designed for one person only, yet it makes a great choice for families as well. Its user friendly construction makes it suitable for kids. 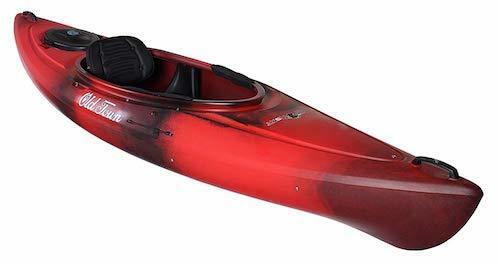 This kayak barely weighs 44 pounds. We found it lightweight and easy to lift or transport. You'll need a pick-up truck though or you can just put it on top of your car. It's 9 feet in length and 31 inches in width. It can take people up to 325 pounds, so it makes a good solution for heavy users as well. However, the manufacturer recommends not more than 275 pounds for maximum performance. In terms of small features, we loved the bow and stern carry handles, as well as molded in side handles. If you're up for a relaxing trip, the molded in cup holder is conveniently placed right in front of you. The rear skid plate is removable and replaceable, only to extend the durability of this kayak. Sit on top kayaks are naturally more comfortable than other types, but they also provide more freedom. This model comes with a padded seat back for extra support. It also has four settings to adjust. We couldn't find any major differences between two adjacent settings though. But then, no matter what your body type is, you can find the right position for comfortable paddling. Its adjustability makes it excellent for long trips, as you can always change the position if you feel any pain. It's easy to lift and store. The seat back has four adjustable settings. It comes with molded in side handles and a cup holder. It's suitable to large users as well. The rear skid plate is replaceable. It can only take one person, so families will find it a bit challenging. The seat might feel a bit too narrow if you're overweight. This model is probably the best kayak from Old Town Canoes & Kayaks. Apart from the black cherry color, it's also available in cloud, lemongrass and sunrise designs. 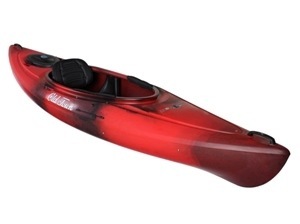 The kayak can be used on any kind of water – mild lakes or rapid rivers. It's a versatile unit designed for more or less experienced users, but with a series of professional features and even a few bells and whistles. A kayak becomes worthless if it's not comfortable. You can still use it, but chances are you'll want to jump out after less than an hour. This model comes with a well padded seat – no pain in your lower back or buttocks. Also, we loved the fact that the seat is adjustable, so you can change the position every once in a while. No matter what your body type is, you'll find a suitable position in no time. Carrying the unit is just as easy due to its handles – designed with the hand shape in mind. This kayak weighs about 39 pounds – it's easy to lift and move around. It's 114 inches in length and 28.5 inches in width. Even if this is your first kayak, you'll have no problems learning how to maneuver it. Learning how to keep it under control is usually a matter of hours. To make things even easier, the manufacturer has used adjustable support track foot braces, as well as thigh pads. All these bells and whistles add to both your comfort and control. Worried about storage? Forget about it. The stern hatch offers space to store your backpack, gear or other small things. It's a one person kayak, so storage is just enough. It's available in more colors and designs. It has plenty of padding for a comfortable ride. The seat and support track foot braces are adjustable. It's easy to handle, even on rapid rivers. It's lightweight and easy to carry. Adjusting the foot supports is hard on the water, but easy on land. There is no front webbing. 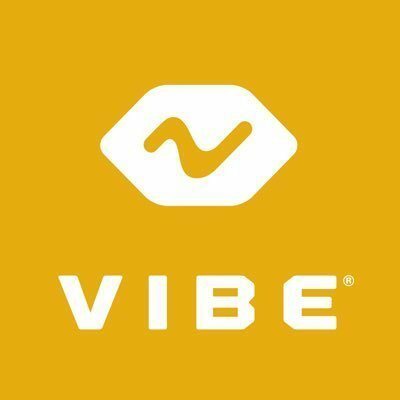 We just couldn't overlook Vibe Kayaks when hunting the best kayak brands on the market. This model is suitable for anyone – beginners and experienced users. Professionals will love how well it maneuvers, as well as a few bells and whistles that adds to its performance. We found it to be a bit too advanced for newbies, yet it can certainly offer an experience of a lifetime. This model is designed for one person only. It's a sit on top kayak weighing 74 pounds. It's heavier than other units, but not impossible to move. It has solid handles and an even weight distribution, so it's simple to carry. The extra weight adds to its stability. It measures 13 feet in length and 33 inches in width. We were pleasantly surprised by the dual position hero seat. Not only it makes you feel stable and offers control, but it's also responsible for the speed. Interested in fishing while riding your kayak? It has a fish finder transducer port with a few mounting points, as well as a protective lid. In terms of comfort, we enjoyed the toe controlled rudder system. It's pre-installed and prevents fatigue during long or windy trips. This kayak is highly customizable. For instance, it has two flush mount rod holders, as well as four integrated gear tracks. Customized rigging will make your experience more convenient. As for storage, it has multiple areas for both small and large items. It's up to you to decide where everything goes. 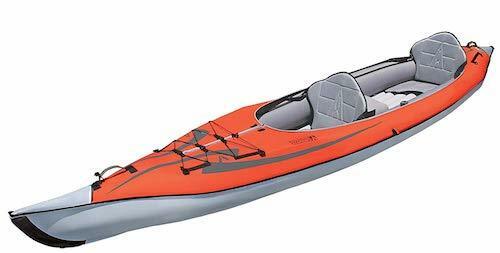 The kayak comes with a large center console, a rear hatch, a rear tank and a 20” front oval hatch. It comes with plenty of storage space for long trips. It saves energy during long paddles due to the toe controlled rudder system. It has a fish finder transducer port. The dual position hero seat adds to its stability. It's suitable to both amateurs and professionals. It might feel heavy to carry for small people. It can only take one person. With numerous innovations in this industry, we find Oru Kayak to be one of the top 5 kayak brands out there. Over the years, this company focused on improving kayaks and clearing all the potential drawbacks they might have. Take this model, for example – it's foldable, so it's much easier to store, transport and carry. We've tried a previous version of this model too. The new generation is wider – 28 inches, so it's more stable and can take larger people. Despite the sturdy construction, it only weighs 26 pounds. Not only it's lightweight, but imagine carrying it folded. The whole operation shouldn't take more than three minutes. We tried it and we can confirm the manufacturer's claim. When folded, it can be stored anywhere, not to mention transportation. Despite the low weight, the kayak is stable on water. It goes fast and it's easy to control. It's also backed by a one year warranty. Performance is somewhere in the middle range. 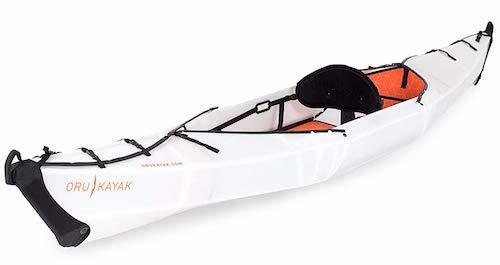 We find this kayak to be excellent for beginners due to its stability, but also sporty and fast for experienced users. It can go on rapid rivers with no problems at all. If you're up for long trips and camping excursions, you'll find lots of room to stash your gear. Durability might raise some question marks due to the foldable design. However, this kayak is made from a custom polyethylene. It has a 10 year UV treatment and is rated to take 20,000 folds. We've folded and unfolded it quite a few times and it feels like new. It's foldable, easy to transport, carry and store. It only weighs 26 pounds. Folding or unfolding shouldn't take more than three minutes. It's wide enough to ensure a proper stability. It can take up to 20,000 folds; if used once a day, it should be usable for over 27 years. It's not so good for wavy rapid waters because it has no drain hole. It only has one seat, despite being originally designed for recreational uses. 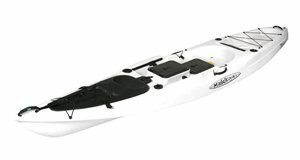 Available in lime and white, the X-Factor kayak makes Malibu Kayaks one of the best kayak brands for large users. This model is a sit on top kayak. It can take up to 625 pounds, which means you can carry enough gear to go around the world with it. 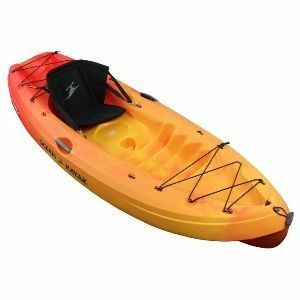 Although designed for recreational uses, this kayak comes with some professional features than even experts will find appealing. With 14 feet in length, this model can take professional uses with no issues at all. It's 33 inches in width – more than the average kayak. In other words, it's quite stable and can take overweight people too. It weighs 62 pounds – a bit lighter than other professional kayaks. It's easy to carry and transport though. In terms of maximum capacity, it's probably the leading model on the market. Versatility is a main consideration if you're not an expert and unsure how to choose a kayak. You want a model to support you on calm bays, as well as rapid rivers. This model raises to the expectations. The high rocker will cut through waves if such situations arise, but without compromising on stability. As for fishing features, you have a four point rear hatch with a bag, as well as four rod holders – two in the front and two in the back. With these features in mind, this kayak offers a wide plethora of possibilities – fishing, relaxing, long camping excursions and so on. It has the main requirements for an optimal fishing experience. It's wide enough to take large people, while its maximum capacity goes up to 625 pounds. It's easy to control on both calm and rapid waters. It's easy to carry and transport. It comes with plenty of storage, as well as front and rear child or pet seating areas. Despite having two child seating areas, it's not good enough for two adults, unless they're small. The width might compromise the speed a little. Sit-on-top kayaks are ideal for amateurs, as well as kids and families. They have a great stability and they're easy to maneuver. Given the open profile of this kayak, there are no risks of getting trapped. 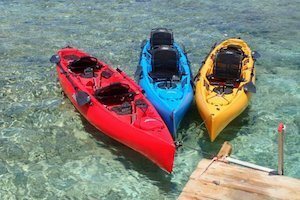 You can find sit-on-top kayaks in a few different kayak brands too – tandem, solo or three person kayaks. Click here to check our our top list of tandem kayaks. 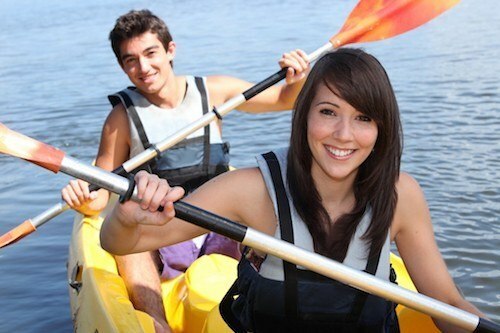 Touring kayaks are mostly recommended to calm waters, whether you want one for a river or the sea. Their touring profile brings in plenty of storage space as well. They're usually available in two types – tandem and single. Whitewater kayaks are easy to recognize due to their length – much shorter than other varieties. They are known for the exquisite control, so they can easily surf waves as well. They're ideal to both newbies willing to learn and more experienced users looking for a good surfing adventure. Often referred to as canoes, open Canadian kayaks come in more varieties and with a single paddle. They are long and large, so they're great for families. 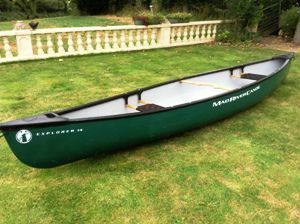 Sure, they're not as popular as other kayaks, yet they make a good choice for sheltered waters, such as lakes or rivers. Check out our list of best kayak for rivers. Sea kayaks are not too wide, so their main role is to be fast and allow cutting through waves. Storage is quite decent due to their length. 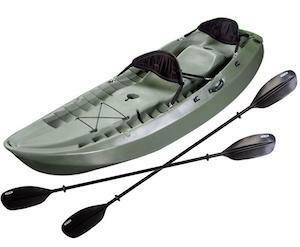 Unlike other kayaks, the sea kayak models can be enhanced with plenty of accessories, like fish finders. Inflatable kayaks are not to be overlooked either if you're after storage and transportation. An inflatable kayak can be folded and fit into a backpack. We have wrote an article on the best inflatable kayaks. Be sure to check them out. They're not designed for professional uses, but mostly for some family fun. Some manufacturers claim these are the best kayaks for the money. The overall size is by far the most important consideration when checking out the best deals on kayaks. In terms of length, longer kayaks have some benefits – they are obviously more stable and can carry a higher load. Maneuverability shouldn't be a problem either. Shorter kayaks are easier to transport though, but they're also cheaper and lighter. They make turning a breeze. The width is mostly responsible for the maneuverability. You'll have to choose between stability (wide kayaks) and handling (narrow kayaks). You can't have both, so we recommend making this decision based on your experience. Often overlooked by newbies, the symmetry is an important consideration. Symmetrical kayaks come with the same shape for both the front and the back. They're easier to maneuver and turn, so they're more suitable for rapid streams. When asymmetrical, kayaks are more stable. Maneuvering them is easy, but turning around will be challenging. 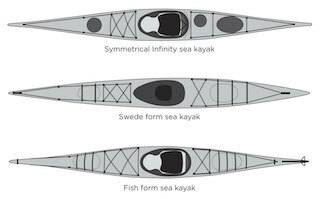 Asymmetrical kayaks can be swedeform (more volume in the back) or fishform (more volume in the front). The bottom shape is another aspect related to the stability of a kayak. If you're looking at the top 10 kayaks for beginners, chances are most of them come with a flat bottom. They are stable and excellent for calm waters. However, the V shaped bottom comes with some extra benefits, especially for experienced users. For instance, the secondary stability is increased when the kayak is leaned. The directional control is also superior, as the V shape literally cuts the water. But then, the initial stability when you don't move is sacrificed. From this point of view, touring kayak comes with a V shaped bottom. It's imperative for beginners to double check the volume of a kayak too. The volume is basically the amount of space to be used. Apart from the user, there should be space for other accessories and items, such as a backpack. Most manufacturers give the volume in liters or gallons. Most of these factors look general to an amateur who's just getting ready to purchase the first kayak. We strongly recommend asking yourself a few questions before deciding. How many people will use this kayak? How much storage do you need for long trips? What kind of paddling do you plan to do? Do you have a place to store the kayak? How do you plan to transport the kayak? Some people want a kayak for some adventure, while others have more precise goals – fishing or touring. If you take long trips or overnight rides, you'll need plenty of storage for at least one backpack and a tent. Check this article out if you are looking for fishing kayaks. Family kayaking asks for a big model too. 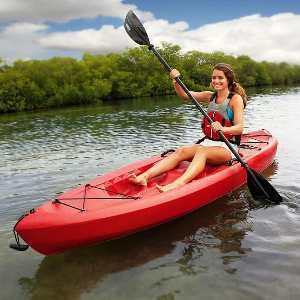 If you are a woman looking for a kayak, you will love this article. Considering you know what you require, then you will be able to make your decision on which type of kayak to go for. Kayaks come in multiple styles, so choose the suitable one based on your experience and expectations. Consider the size too – shorter kayaks can be easily maneuvered, but longer versions can tackle longer distances. Always be safe and carry a life jacket or a personal flotation device, as unexpected situations may arise when least expected. Follow the right of way rules, but don't count on others to do it too. For example, kayaks have right of way in front of power boats. They should get 100 feet of clearance, but it doesn't happen all the time. It's better to be safe than sorry. Double check the weather forecast before going out. If you hear a thunder or you see a lightning, you should rush to the shore immediately. Pack your gear responsibly and always keep a dry bag on you for fragile things or electronics. Water shoes can be helpful if you get tipped out. Also, the water temperature is more important than the air temperature. As a short final conclusion, choosing the right kayak is a matter of personal needs and preferences. Don't buy something that looks good or might feel useful, but something that matches your necessities in small details. Once you know what you need, browsing the best kayak brands is much easier than trying to check all the products out there. We've already done the homework for you and selected the best rated kayaks in multiple categories. It's worth analyzing both the pros and cons of a particular kayak. Get over the manufacturer's specifications and analyze both the positive parts and the potential drawbacks before making a final decision. Lastly, if you have forgotten which brand is suitable for which functions, please find the list below for a recap. Great goods from you, man. I have understand your stuff previous to and you are just too magnificent. I actually like what you have acquired here, really like what you’re saying and the way in which you say it. You make it entertaining and you still care for to keep it smart. I cant wait to read much more from you. This is actually a terrific site. Good info for us as going into a kayak rental business on the river behind our home. Collins river here in Mcminnville, TN. is perfect for many that you mentioned. 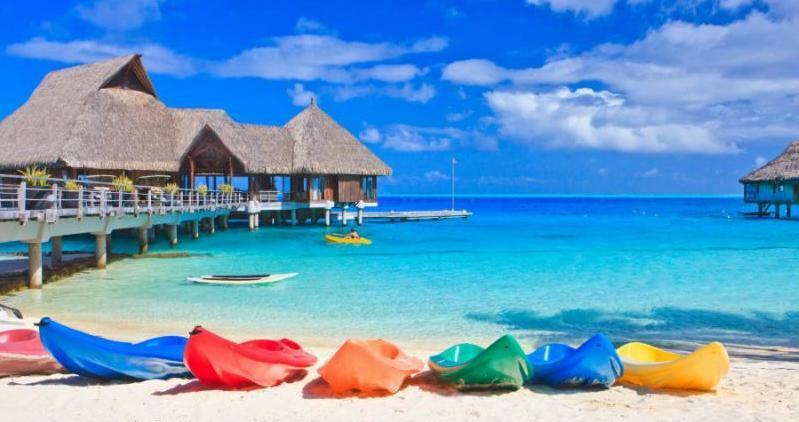 MAD MUSKY Water Sports Rentals appreciates your in depth article! !